Candy and Diane work for Alaska Native Medical Center, Alaska’s only Magnet hospital. When they met in January, Candy had been on staff for nine months managing the hospital’s Emergency Department and Level II Trauma Center. Diane was the newbie, with just over two weeks in her role as interim director of the CCU. Both admit they weren’t looking for fellow alums or expecting to find them in the Land of the Midnight Sun, much less at the same hospital. After all, what were the odds? They were alerted to the coincidence by one of their NMC mentors: Dr. Jane Hokanson Hawks, coordinator of the MSN Nurse Executive track, an online program. And, appropriately enough, Dr. Hawks used social media to give the heads-up. Both Candy and Diane love the beauty of Alaska and its cultural diversity. “Alaska is simply gorgeous,” said Candy, who had spent the previous eight months in Homer, Alaska, as the administrative director of nursing education for the hospital system. Before that she’d spent a decade at Methodist Hospital in Omaha, where she worked in the E.D. and eventually rebuilt Methodist’s nurse residency program. 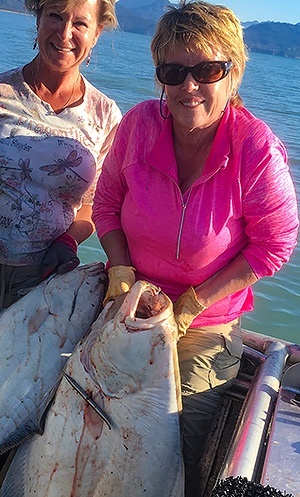 Candy Rutledge, MSN, RN, CNLE, and a friend with one of several 40-pound Alaskan halibut caught that day. Candy had completed the RN to MSN program in the Nurse Executive track at Nebraska Methodist College in 2013 and a Post-Master’s Certificate as a Nurse Educator in 2016. Then she headed to Alaska. “I needed an adventure,” said Candy. Diane, a member of a continually moving military family, grew up appreciating other cultures. While her kids were young, she spent 16 years at a Napa Valley hospital, changing out of her trademark flip-flops only while on duty. Recently, Diane started seizing consulting opportunities that have allowed her to travel and take on new challenges as an interim nurse leader. The Alaska Native Medical Center provides comprehensive medical services to Alaska's Native and American Indian population of approximately 158,000 people. 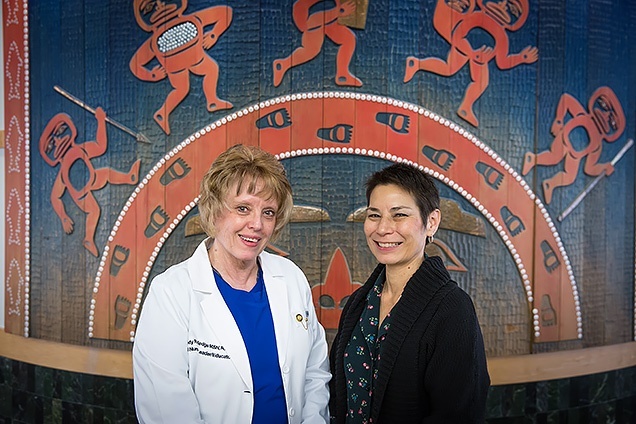 It is run by the Alaska Native Tribal Health Consortium, the statewide tribal health entity, and by the Southcentral Foundation, the regional tribal health partner making primary care available on campus. Candy and Diane agree that the needs are great in Alaska — for healthcare and for healthcare leadership. They also agree that NMC has prepared them well for the many challenges they face. Both are focused on putting sustainable policies and processes in place to align the organization with national regulations and evidence-based standards. Both are drawing upon the knowledge and skills gained at NMC. 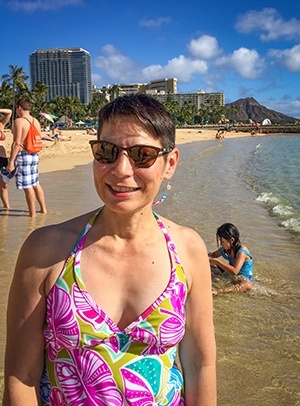 Diane Koyasu Heine, DNP, RN, CEN, enjoying a flip-flop moment on Waikiki Beach. Diane said she discovered NMC through online research while at Napa Valley. 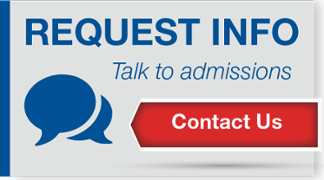 She joined the first cohort of NMC’s online Master’s program in the Nurse Educator track, attaining her MSN in 2006. Later, Diane also completed NMC’s Post-Master’s Certificate as a Nurse Executive. She describes both the online MSN program and Post-Master’s Certificate as pivotal to her success. Candy agrees and credits NMC with giving her all the tools she needs. What’s next for Candy and Diane? Already, a collegial bond and strong leadership in shaping more efficient and effective hospital programs for the Alaska Native people. And after the grads’ time in Alaska is up? Both say their consulting and travel opportunities are plentiful.